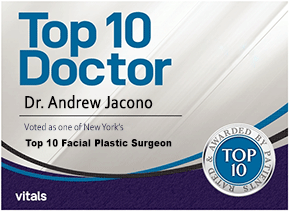 Dr. Andrew Jacono is proud to have been chosen as a contributing author for the only book in existence exploring comparative approaches to facelifting techniques in depth and without marketing gimmicks or misleading acronyms. The book consists of essays, accompanied by drawings and pictures, by the world’s leading (rather than best marketed) surgeons who have established their own approach to face-lifting and whose methodology/technique represents a benchmark because of its consistent and excellent results. 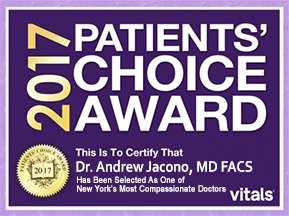 The book is the gold standard and definitive guide to the surgeons who are on the top of their game today. Unlike most forewords and prefaces that go largely unnoticed and seldom read, this one is very important for a number of reasons. 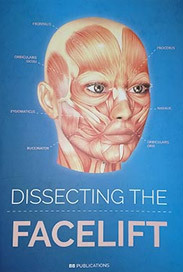 To begin with, the reader must understand that the book is unique of its kind in that it offers prospective plastic surgery clients, for the first time ever, the scientific rather than the PR / marketing rationale for choosing a surgeon and / or a procedure, bridging the consumer and academic sides in the process. Secondly, the reader has to be aware of the concept and structure of the book – it is styled as individual essays by 20 participating surgeons who make a case for a specific technique they have developed and / or perfected / modified and published papers on. 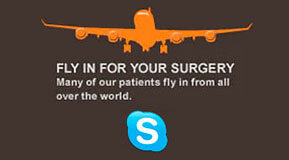 Surgeons are featured alphabetical order. The book is conceived with the consumer in mind at the same time, as a comparative point of reference for other plastic surgeons – highlighting the difference of approach outside of the medical symposia circuit.